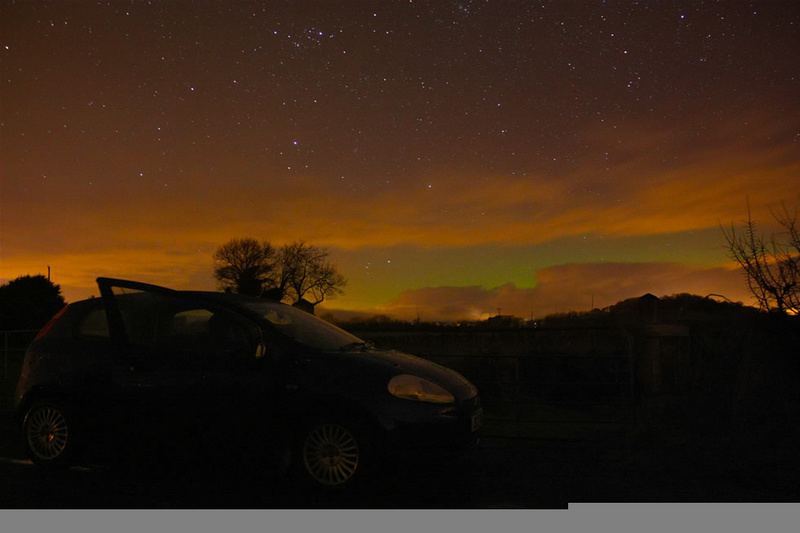 Late night aurora display captured on Feb 18th/19th 2012 from the countryside near my home town of Maghera. The green and upper red colours are all part of the aurora while the orange clouds are associated with snow showers reflecting distant light sources. I watched this aurora until 04.00 UT until I was clouded out. This was the finale to a great birthday where I chased snow showers by day and enjoyed a beautiful planet conjunction and aurora by night. For more information and images check out the REPORT.